Looking for some kickball team names that express your attitude about the game? Check out our lists below. 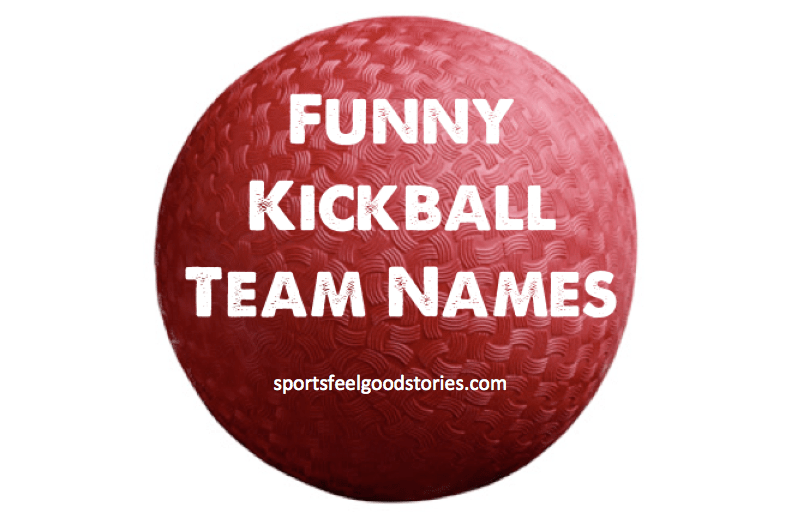 Find a great kickball team name for your boys, girls, men, women, co-ed, intramural, and adult rec squads. Click on any of the links below to jump to a spot on this page, or, scroll down and see them all. Our squad has a kick to hit. We get a kick out of winning. New Kicks On The Block. Kicking others to the Curb since 2012. Kickin’ Grass and Taken’ Names. It’s Not Going to Kick Itself. 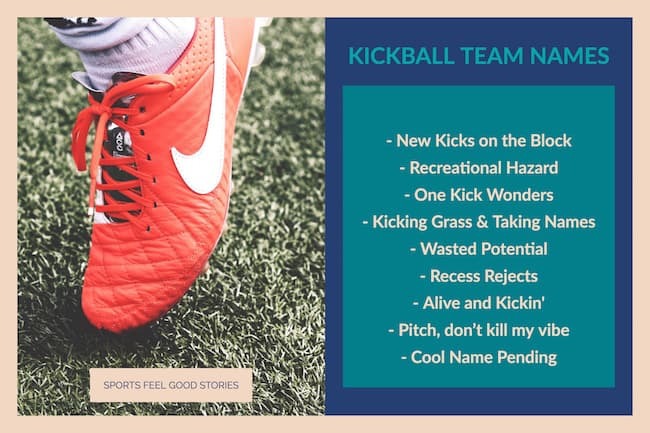 Wasted Potential – the Kickball Team that never quite put it together. We came, we saw, we kicked! Fresh Prince of Ball Air. I Got 99 Problems, But My Kick Ain’t One. Not Your Father’s Kickball Team. Swift Kick in the Grass. It’s not just for 5 year-olds anymore. It’s not just a game, it’s a lifestyle. The Kickball Team That Will Beat Yours. Pitch, Don’t Kill My Vibe. Three Kicks to the Win. Lemony Kickit: A Series of Unfortunate Innings. The Fellowkick of the Balls. Kickin’ Balls and Takin’ Names. Read more on kickball at Wikipedia. You’re on Kickball Team Names.